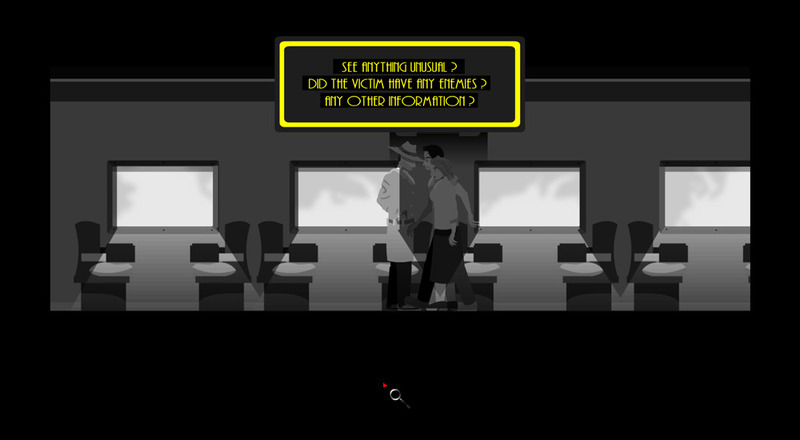 "A murder mystery on a train in a film noir style." 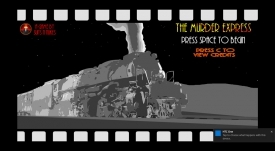 The Murder Express is a mystery game where you must discover who the killer is amongst the passengers on the train, before they get to you, among the passengers on the train there is many famous serial killers and this probably isn’t a train you would like to find yourself on! 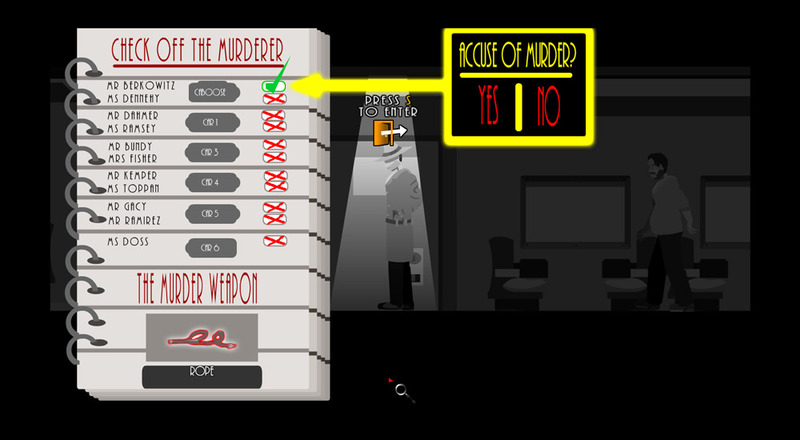 But your job today is to find out who is the killer aboard the train, you can go through the train looking for clues and interrogating suspects, you must try to obtain as much information as possible before you make your accusation as to who the murderer is, but make sure you pick the right person or it’s game over, also be very careful when the lights go out on the train as this is when you are vulnerable for an attack from the killer and you may never get to finish your investigation if that is the case. 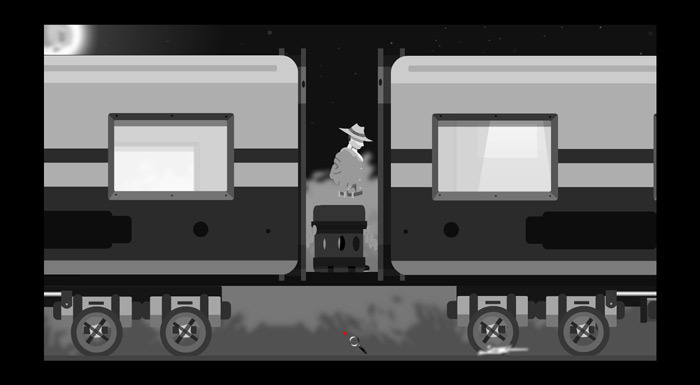 The game is kind of simple but it is fun and the graphics and black and white coloring gives it a real noir feel and this should appeal to any budding detectives however once you have solved the mystery once there is not much to come back to play for in The Murder Express. 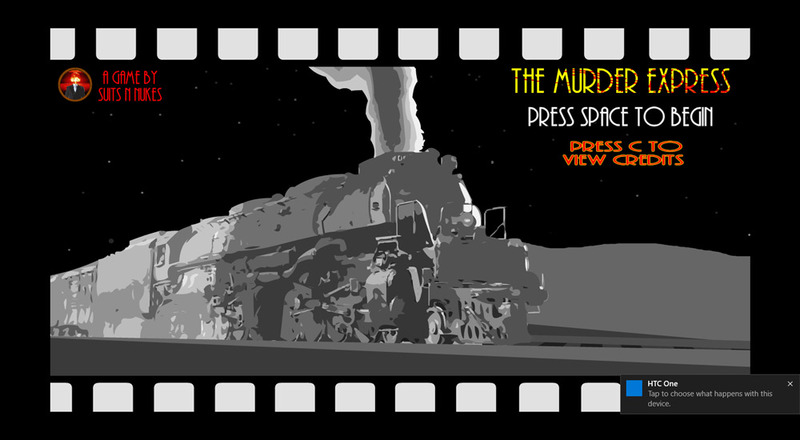 You can download The Murder Express here for free.